Rolling Meadows chiropractor, Dr. Richard Robinson understands that although two patients may be diagnosed with the same condition, they can respond very differently to treatments. For this reason, at Robinson Family Chiropractic we tailor a specific plan of action to meet each patient’s needs, goals and unique medical and physical conditions. as well as that of the people around you. At Robinson Family Chiropractic, our focus is on families of all ages, from infants with colic and ear infections, up to the elderly with severe arthritic conditions. We’re passionate about helping people of all ages lead healthier lives. Our vision has been to help as many people as possible to get well naturally, and to educate them on what we do so they can in turn educate others. Today’s multi-tasking moms are busier than ever. They don’t have time to be sidelined by pain or injuries. That’s why we provide natural and effective care that can help moms get back to all the people and things in their lives that are important to them! As chiropractors, we understand that staying informed about health can be a daunting task. 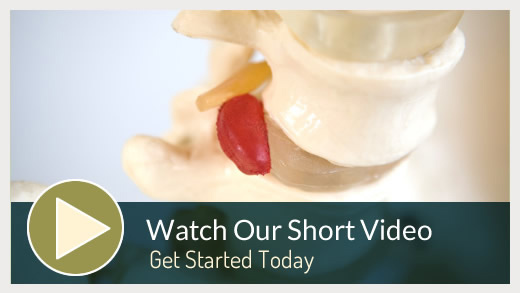 We hope that you will find this site helpful in learning more about our gentle chiropractic care and the ways that it can improve the quality of your life. Call today with your questions, and to schedule an appointment. Conveniently Serving the Northwest Chicago area! Everyone is always so friendly and kind. I would just like to say ‘Thank You!’ to Robinson Family Chiropractic, not only for being so accommodating and flexible but for helping me with my chronic headaches. It is truly a blessing to know there are people who care about the health and well-being of others. I’ve been a patient for a few months now and have received excellent medical care from the doctor and the staff. They’ve been very accommodating to our schedule and have always welcomed my daughter who accompanies me to every appointment. The appointments are quick but I never feel rushed! I would definitely recommend this facility to friends and family! I’m a long-time patient because of my first visit experience! The whole staff is wonderful. It was the best first chiropractic experience! Highly recommend! The staff at Robinson Family Chiropractic is such a pleasure. They have always been accomodating to my schedule changes, and I feel so much better after a treatment. They are miracle workers! We LOVE Robinson Family Chiropractic!! Dr. Rick and his staff are amazing! The service is always excellent! They go over and beyond for you! I wouldn’t go anywhere else. Thank you Robinson Family Chiropractic! I was suffering constant shoulder and neck pain from a fall. I started feeling better after the first visit. I am now pain free and would highly recommend Robinson Family Chiropractic. I look forward to my treatments. I always feel much better and the staff and Dr. Robinson are absolutely awesome. I’ve already mentioned this practice to others so hopefully they’ll take advantage of it. Thank you, I appreciate everything you do for me.